Indulge in the extra space of your air-conditioned luxurious suite with comfortable sofa and armchair and 32 inch flat screen TV. Indulge in the spacious bathroom with separate walk in shower including Gilchrist and Soames luxury guest toiletries or dine in with 24 hour room service. Complimentary secure underground parking is provided for hotel residents. 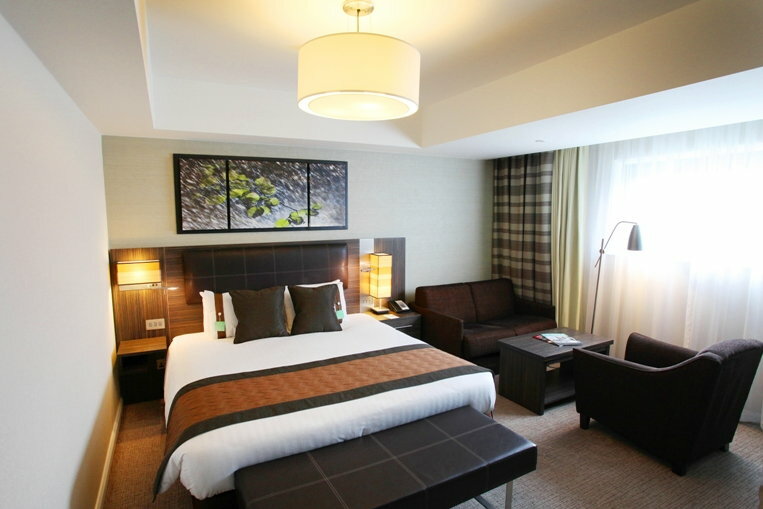 In addition, the 4 Silver Star hotel is a 1-minute walk from the Winnersh Triangle Train Station, on the Reading to Waterloo line and a mere 6 minute train journey to Reading for the Reading to Paddington fast train (20-minutes) making it the ideal location for a Family Hotel Break in Berkshire.